We are delighted to announce that all TARL internship spots are taken for the 2019-2020 long session! Our interns are integral in achieving our mission here at TARL and we are thrilled that the UT students have eagerly sought out these positions. The internship program provides students with the opportunity to explore their interests in archaeology and best practices in curation. If you are an interested student please reach out about our open internship spots for the 2020-2021 sessions. 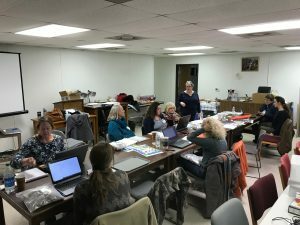 assessments for field and lab reports, database systems inventorying and artifact tag creation along with box tag creation. We are delighted to be continuing this series of curation workshops by supporting the regular TAS curation day over the weekend once a month. To all of our wonderful attendees and TAS members, thank you for your support of Texas Archaeology! 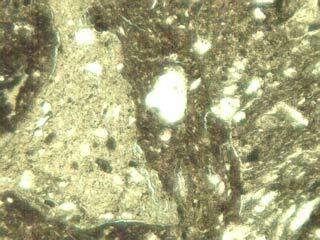 Microwear Analysis of Experimental and Artifactual Burin Tools from the Edd Melton Site, 41BL1138, Bell County, Texas. The analysis and write-up of the 2002 TAS Field School excavations at the Edd Melton Site in Bell County, Texas, yielded surprising finds. After excavation and inventorying, the Edd Melton Site assemblage showed an interesting co-occurrence of burin spalls and the unusual finds of 24 perforated freshwater mussel shells. Burin spalls are tools struck deliberately at an approximate ninety-degree angle to the face of the flake or core. A working hypothesis that burin spalls were tools used for working the mussel shells was formulated after Prof. Fred Valdez of UT-Austin alerted the authors to the meaningful correlation of burin spalls and carved shell. In Valdez’s work in the Mayan culture area of Belize, long burin spalls are associated with carved shell (Valdez, pers. Com.). It is accepted generally in Mayan archeology that specialized burins are tools for working shell artifacts. The hypothesis derived from this correlation is direct: the site burins were tools to carve, perforate, and drill the perforated mussel shell on the site. It was decided to test the hypothesis by conducting an experiment of high magnification examination of site burins and comparing them to burins worked experimentally on modern shell. The conduct of the experiment proceeded timewise in two phases. The first phase involved the production of chert burin spalls and their application to modern shell surfaces to identify actual shell wear on tools. The second phase was the high magnification use-wear analysis of both the experimental burins and the archeologic burins recovered from the Edd Melton site. Relevant patterns could then be compared with reliability. 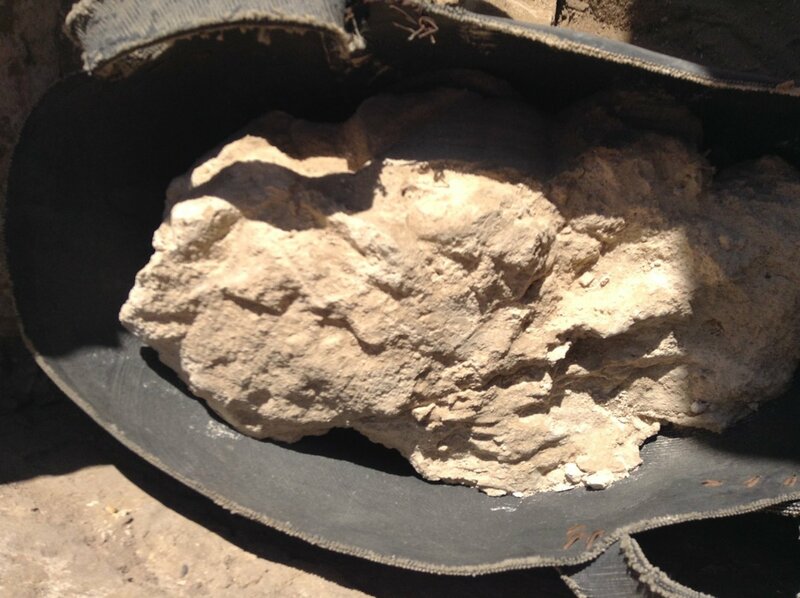 Christopher W. Ringstaff of The Texas Department of Transportation kindly donated expert skill and Bell County chert material to produce the experimental burin spalls. Marilyn Shoberg of TARL and Texas State University conducted the second phase of the experiment. All the microscope work was conducted at the Microscopy Laboratory, the Texas Archeological Research Laboratory, UT-Austin. This study of the combination of experimental archeology and microwear analysis is reported in great detail in the report on 41BL1138 forthcoming in the Bulletin of the Texas Archeological Society in the fall of 2019. The analytical method for microwear analysis is patterned after the work of Semenov (1964) comparing a complex of wear traces including edge damage, micropolishes, and striations to those attributes on experimental tool analogs at magnifications greater than 100x. Keeley (1980) improved the “high-power approach” to include kinematics of use or angle of attack to describe more clearly how striations in micropolish reflect the action used in specific tasks. The microscope at TARL used for this analysis is a reflected-light differential-interference Olympus BH2 microscope with Nomarski optics. The interpretation of wear traces is based on comparison with experimental tool analogs used in a broad range of experiments. 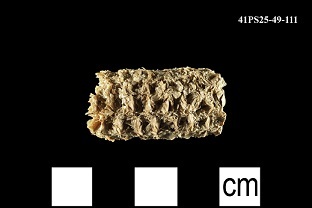 In conjunction with the analysis of this sample of four small tools from 41BL1138, experimental burins were used individually cutting, drilling, slicing, and graving fresh water mollusk shell; and analyzed for reference. The analysis indicates that three of the small tools from the site were used in manufacturing tasks on shell; two used as drills, one used cutting. One tool was used cutting soft animal tissue. One of the drills has additional use of one edge in scraping shell. 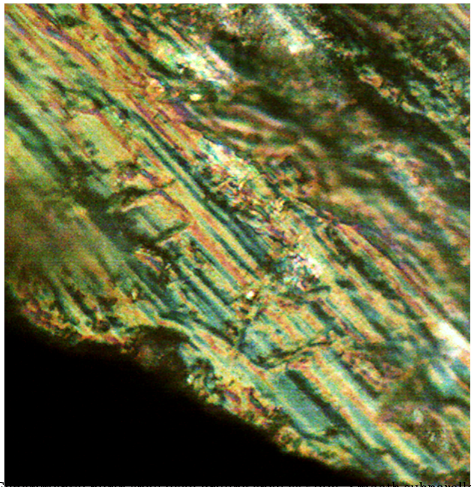 The photomicrograph shows the wear on one of the two archaeological tools used drilling shell. Burin spall 123, lateral facet @ 500x; overlapping groups of subparallel troughs in bright platy micropolish originate at the edge of a flake scar at the utilized end of the burin. The tip of the tool is beyond the bottom of the photomicrograph. The orientation of the striations (arrows) to the edge of the tool reflect the kinematics of use or angle of attack, i.e. sequential actions parallel and oblique to the tip as in piercing and twisting motions. Experimental burin spall used drilling shell @ 500x. Smooth subparallel troughs of variable width in micropolish reflect the angle of attack when the drill bit was inserted into the shell. Sharp single striations across the long sleeks are from grit particles dragged across the edge in a subsequent action. Patches of very bright angular debris are embedded in the polish. The diagnostic wear traces observed in this study of experimental burins used on fresh water mollusk shell are bright patches of platy micropolish with long subparallel troughs of variable width, and with angular particles or bright debris of considerable variability in size embedded in the micropolish. 1980 Experimental Determination of Stone Tool Uses: A Microwear Analysis. University of Chicago Press, Chicago. 1964 Prehistoric Technology. Cory, Adams & Mackay, London. 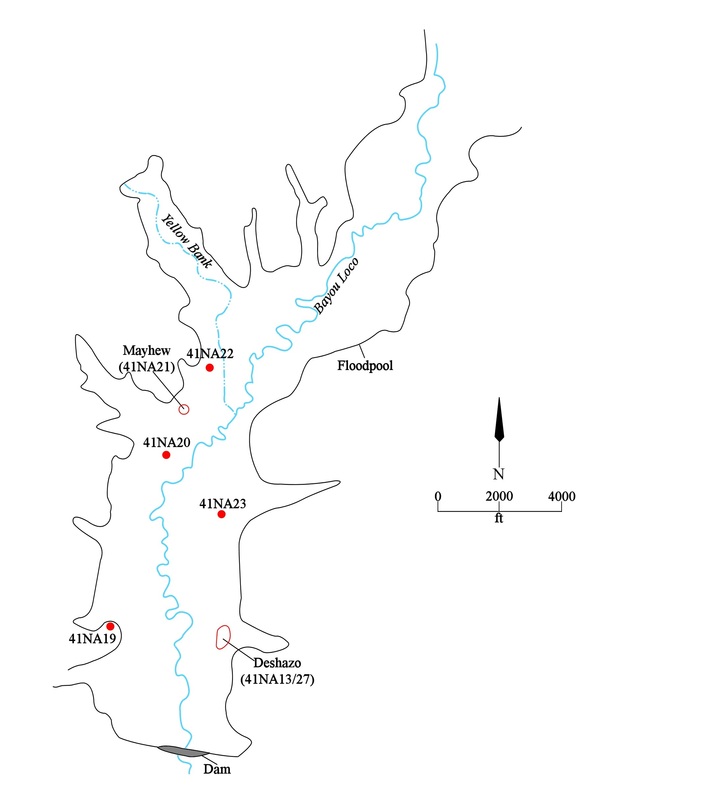 In 1972 and 1975, University of Texas (UT) archaeologists conducted investigations on sites located within the proposed Bayou Loco Reservoir or Lake Nacogdoches project area in Nacogdoches County, Texas; the Nacogdoches Archeological Society also completed archaeological investigations on the project. Bayou Loco is a southward-flowing tributary of the Angelina River. During that work, extensive excavations were conducted at the Mayhew (41NA21) and Deshazo (41NA13/27) sites, and the results of work at those sites has been published by Kenmotsu (1992) and Story (1982, 1995). Much more moderate archaeological investigations were conducted in 1975 by UT at four other sites: Pleasant Hill (41NA19), Riser (41NA20), Iron Rock (41NA22), and Loco Bottom (41NA23) (Figure 1). Without detailed analysis in 2018 of the project records and recovered artifacts curated at the Texas Archeological Research Laboratory at The University of Texas at Austin, the results of the archaeological work at these sites had not been made available before now. Figure 1. The general locations of the four sites tested by UT at Lake Nacogdoches. Figure prepared by Lance Trask. What the UT archaeologists found out was that the valley was occupied as early as the Middle Archaic (ca. 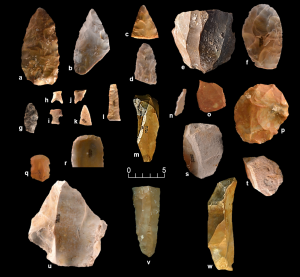 8000-5000 years ago) and Late Archaic (ca. 5000-2500 years ago) periods, but the first evidence of a substantial use of the land only took place during the Woodland period (ca. 2500-1150 years ago) by Mossy Grove peoples. Each of the four sites have evidence for settlement by Woodland period hunters and gatherers. Ancestral Caddo peoples that may be descendants of Mossy Grove groups lived and occupied the Bayou Loco valley from as early as ca. A.D. 900, but the most intensive settlement of the valley was after ca. A.D. 1400-1450 (during the Late Caddo period), and particularly after ca. A.D. 1680 and as late as ca. A.D. 1720 or so during the Historic Caddo Allen phase. There is a very high proportion of brushed sherds in the utility wares at the Iron Rock and Loco Bottom sites, as well as at the Mayhew and Deshazo sites in the reservoir project area. Taken together with substantial amounts of Patton Engraved fine ware ceramics, as well as the recovery or reporting of early 18th century European glass beads from the two sites (Figure 2), and substantial numbers of European goods at the nearby Mayhew and Deshazo sites, this indicates that they were occupied by Caddo peoples during the Historic Caddo period, and that they were a part of the community of Caddo peoples that lived along Bayou Loco during the period of early European contact and settlement (cf. Jackson et al. 2012; Prewitt 2019). These Caddo peoples appear to be affiliated with the Hainai Caddo, the preeminent ancestral Caddo group in East Texas at that time. Figure 2. 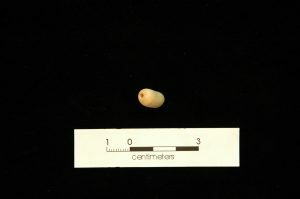 White oval-shaped glass bead from the Iron Rock site. Figure prepared by Paul Marceaux. These Caddo peoples were farmers that lived year-round in farmsteads, hamlets, and villages dispersed across the Bayou Loco valley, and in a number of other drainages in the Angelina River basin. As best as can be determined from the archaeological investigations, the four sites tested by UT in 1975 were places of one to several ancestral Caddo houses that had associated trash midden deposits, and were likely surrounded by fields and maintained landscapes with available wild plant foods, wood for fires, and wood and grass for construction purposes. These settlements were probably occupied for at most 1-2 generations of Caddo families, before they were abandoned or the farmsteads moved to another location in the valley. 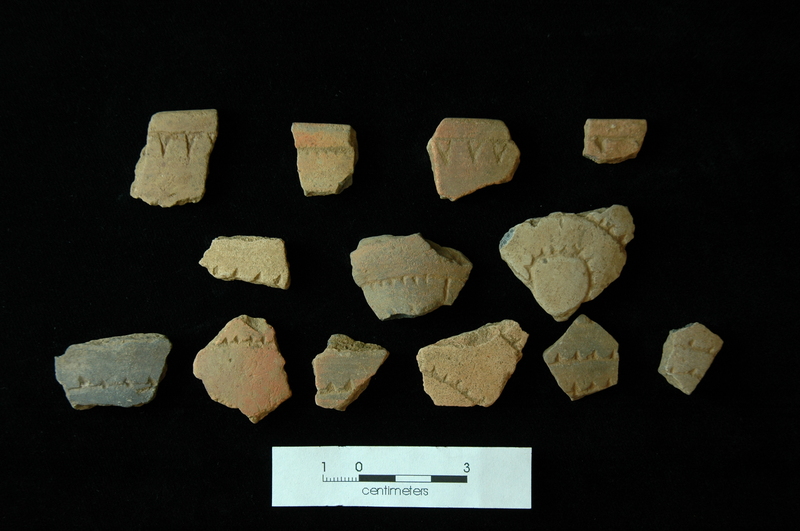 The most abundant artifact category at the Bayou Loco sites are sherds from ceramic vessels made, used, broken, then discarded at the ancestral Caddo settlements. Most of the sherds are from vessels tempered with grog or crushed sherds, with the regular use of burned bone or crushed pieces of hematite as additional temper inclusions. The sites are dominated by brushed utility wares from Bullard Brushed and Spradley Brushed-Incised jars, likely used primarily as cooking and storage vessels (Figure 3). 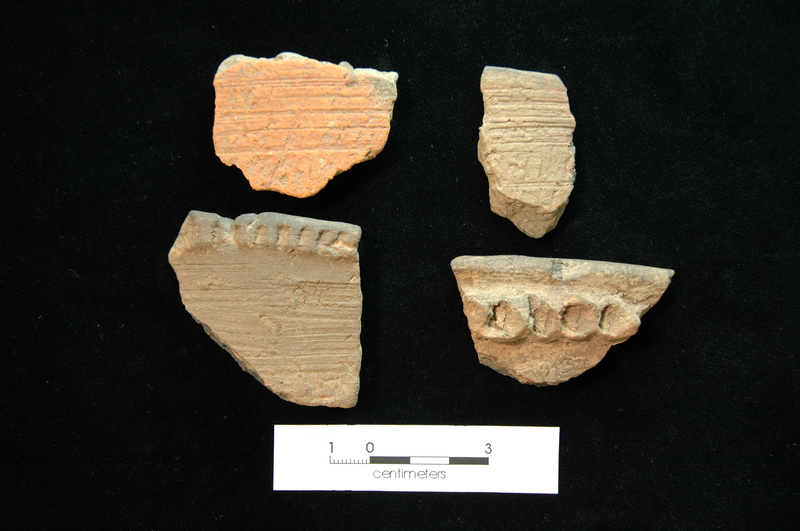 Brushed pottery comprises 72.3-84.2 percent of the decorated sherds from the Bayou Loco sites occupied after ca. A.D. 1680. Incised, punctated, and incised-punctated decorative classes are relatively abundant among the vessel sherds not decorated with brushed marks, as are Lindsey Grooved sherds, and sherds with neck banded and appliqued-punctated decorative elements. Figure 3. Brushed-incised, brushed-lip notched, and brushed-appliqued rim and body sherds from the iron Rock site: top row, Spradley Brushed-Incised; lower left, brushed-lip notched rim sherd; lower right, brushed-appliqued rim sherd. Figure prepared by Paul Marceaux. Fine ware vessel sherds with engraved, engraved-punctated, and engraved-brushed decorative elements only comprise between 6.6-13.8 percent of the decorated sherds at the Bayou Loco sites. The principal fine ware type is Patton Engraved, a diagnostic element of Allen phase sites in the Neches and Angelina river basins (Figure 4), but there are also sherds from Poynor Engraved and Hume Engraved vessels; most fine ware sherds are from carinated bowls, but there are also bottles and compound bowls in the assemblages. 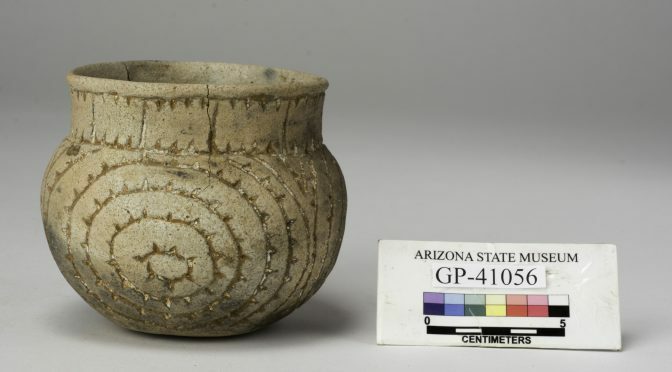 Fine wares used for serving foods and holding liquids appear to have been regularly used by the inhabitants at each of these Historic Caddo sites. Figure 4. Patton Engraved and Hume Engraved rim and body sherds from the Loco Bottom site: b, e-l, Patton Engraved; a, c-d, Hume Engraved. Figure prepared by Paul Marceaux. 2012 Trade and Cultural Interaction along El Camino Real de los Tejas During the Spanish Colonial and Republic Periods in Nacogdoches County, Texas. 2 Vols. Nine Flags Museum, Nacogdoches. 1992 The Mayhew Site: A Possible Hasinai Farmstead, Nacogdoches County, Texas. Bulletin of the Texas Archeological Society 63:135-174. 2019 Bayou Loco: Investigations and Speculations. 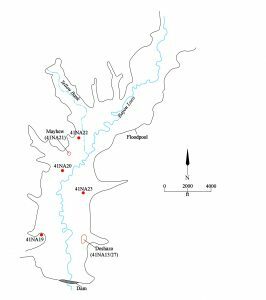 Journal of Northeast Texas Archaeology 80:1-16. 1982 The Deshazo Site, Nacogdoches County, Texas, Vol. 1: The Site, Its Setting, Investigations, Cultural Features, Artifacts of Non-Native Manufacture, and Subsistence Remains. Texas Antiquities Permit Series No. 7. Texas Antiquities Committee, Austin. 1995 The Deshazo Site, Nacogdoches County, Texas, Vol. 2: Artifacts of Native Manufacture. Studies in Archeology 21. Texas Archeological Research Laboratory, The University of Texas at Austin. 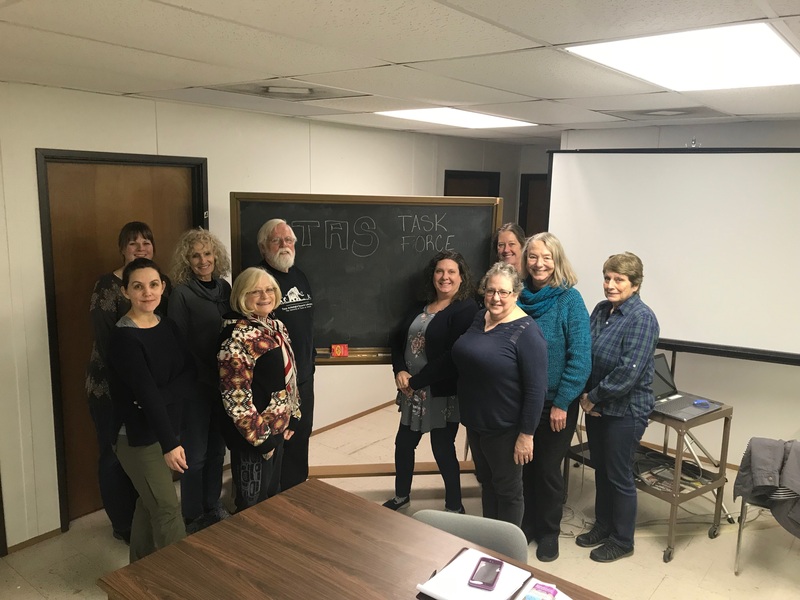 We are delighted to announce that The Prehistory Research Project (formerly known as The Gault Project) will be returning to its roots: Starting early summer 2019 the PRP staff will move the project from its current home at Texas State University in San Marcos to Building 5C at TARL. Some of you (indeed many of you) are long-familiar with the old Gault Project but for those who might not be, it was a research project that was formed under the auspices of the TARL family and operated out of TARL Building 5A from 1999 to 2009. The Gault Project was created to help manage cultural materials that were being excavated from the Gault Archaeological Site which is located 40 miles north of Austin. 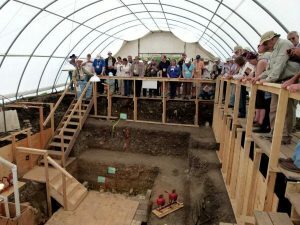 The Prehistory Research Project (PRP) expanded its research from the Gault Project to dedicate research efforts beyond the Gault Site to exploring the early human occupations of the Americas. The Gault Archaeological Site is named for the original owner, Henry Gault whose farm had a colorful past; attracting unwanted collectors, as well as professional and avocational archaeologists for over a century. Thankfully, science and education prevailed and helped stop the damage being done from pay-to-dig operations by the late 1990s. 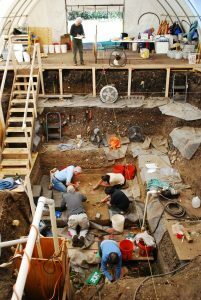 Archaeologists were eventually allowed unrestricted access to the property to conduct excavations when the owners, Ricky and Howard Lindsey granted a 3-year access – 1999 to 2002 – for Dr. Mike Collins to investigate the site. These excavations revealed a prolific, multi-component, well-stratified site representing almost every stone-age culture known in Central Texas. As is often the case when conducting large-scale archaeological excavations (and as many an avocational and professional can attest), it was the final few days of that 3-year excavation lease that last minute testing revealed artifacts well-below the known Clovis zone. These findings were convincing evidence of older occupations at the site and led to renewed negotiations with the landowners for several years. In early 2007 Gault was purchased by Dr. Collins and the deed ownership donated to The Archaeological Conservancy. Excavations resumed by 2007, however in the summer of 2009, a generous invitation to move the project to San Marcos from the Anthropology Department at Texas State University was accepted by Dr. Collins and Dr. Clark Wernecke. The relocation of such a high-profile group of researchers would prove beneficial in Texas State’s quest for recognition as an emerging research institution. It was clear that the Gault Site had mounting evidence that would eventually re-write prehistory of the earliest peoples in the Americas. Thus, The Gault Project grew and expanded to become The Prehistory Research Project. Artifacts from the deepest stratigraphic levels at the Gault Site, named the Gault Assemblage. These artifacts are dated to between 16,000 and 21,000 years old. Today, the PRP is an active, vibrant project that supports research across the globe with a special interest in all early archaeological evidence, from North, Central, and South America, where sites much older than 13,500 years ago are being discovered or rediscovered on a consistent basis. As of August 31, 2019, our 10-year arrangement with Texas State University will end on a high note as some of our biggest and most prominent accomplishments have occurred under the auspices of Texas State University. But we are more than ready to move back home to TARL. We will be bringing with us a dedicated team of researchers and, in conjunction with the Gault School of Archaeological Research (GSAR). Our move to TARL is very much a homecoming for the Gault Archaeological Site and the Prehistory Research Project. 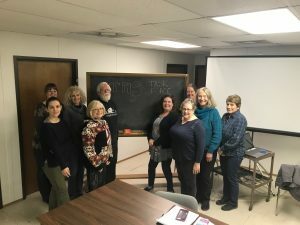 We are thrilled to re-unite with our colleagues and begin a new collaborative partnership with the great folks at TARL and the University of Texas at Austin that we believe will create exciting new opportunities and make archaeology accessible to all! In the meantime, look for additional details as we get closer to making this endeavor happen, and would like to extend our thanks and gratitude to Texas State University for hosting the project over the past decade and thank all of our friends, colleagues, volunteers, and students who have supported us throughout our time there. Heartfelt Gratitude and Thanks to TARL for a much-anticipated homecoming! research follows from the results of radiocarbon dated cobs that confirm the presence of Late Archaic maize at the cave. previously sequenced specimens from the American Southwest and Mexico. This is important because the role of maize in Late Archaic groups in the eastern Trans-Pecos is assumed to be minimal. in the region than was previously assumed. communities and researchers grappling with heavily looted sheltered sites in Texas. 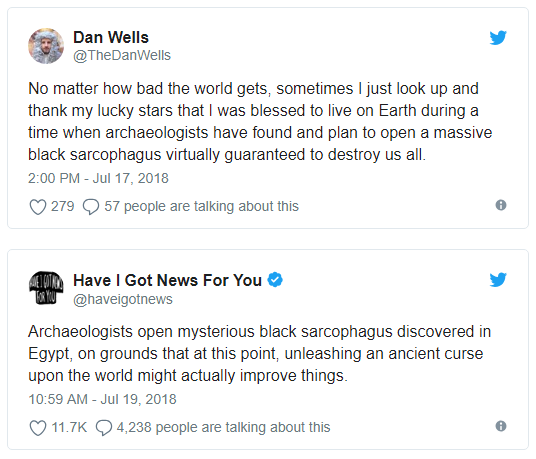 The discovery of a massive, 2000-year-old sealed black granite sarcophagus in Alexandria, Egypt in July 2018 prompted speculation that opening it would unleash a world-ending curse. 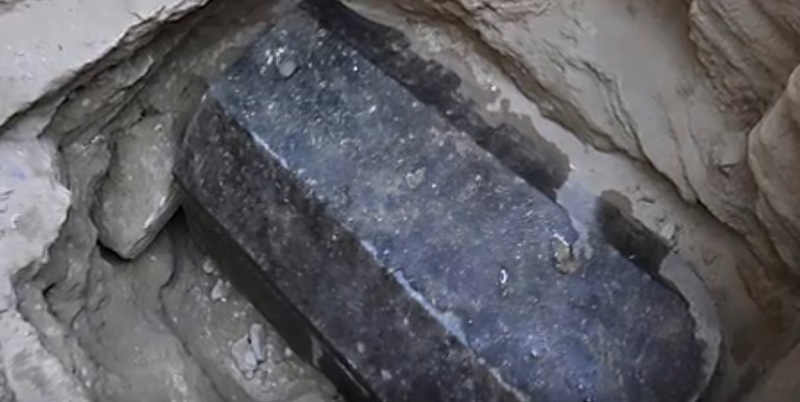 When opened, the sarcophagus was found to contain only the remains of three Egyptian army officers and a reddish-brown sewage liquid, spawning the #sarcophagusjuice meme. While excavating a 1200- to 1400-year-old necropolis in northern Italy, archaeologists found the remains of a man with a knife blade prosthetic arm. Analysis of the man’s bones revealed that his arm had been removed through blunt-force trauma below the elbow, and that he lived for some time afterward with the knife blade prosthesis in place of a hand. While the world was still mourning over not being allowed to drink the sarcophagus juice, archaeologists in Saqqara, Egypt uncovered another ancient (and equally inedible) find: the world’s oldest known solid cheese. Protein analysis showed that the 3,300-year-old powdery white substance was likely a mixture of cow and either goat or sheep milk, made into a cheese, which was left in the tomb of an official who served the pharaoh. Scientists warned that the cheese might actually be “cursed” with live bacteria that could sicken anyone who dared to taste it. 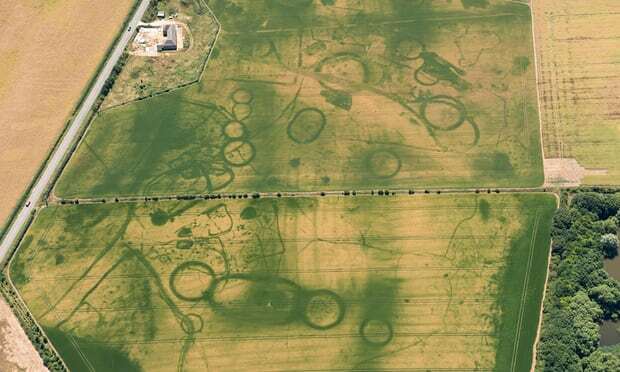 Drought and a massive heatwave across the UK revealed the presence of hundreds–if not thousands–of previously unknown archaeological sites, ranging from neolithic hamlets to massive henges and WWII landscape modifications. These are no crop circles: because disturbed sections of the landscape hold more water than undisturbed soil, the differential drying patterns have revealed the exact locations of buried structures. 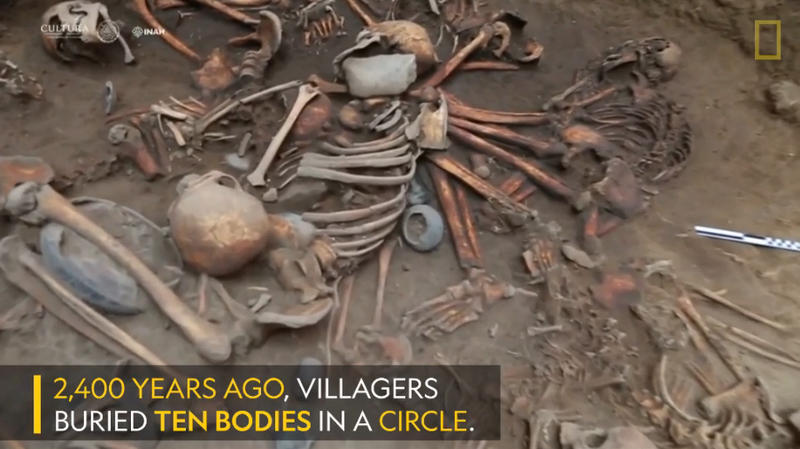 Archaeologists working at Tlalpan, just south of Mexico City, uncovered the remains of ten individuals arranged in a spiral shape in a mass grave. The burial, which dates to the Preclassic period, includes adults, juveniles, and an infant, who were all buried in a single event and left with many grave goods. 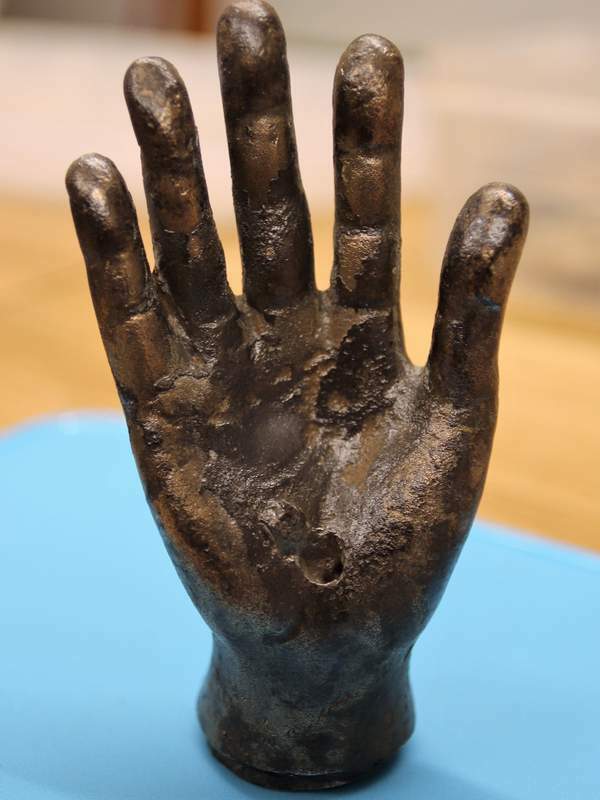 At the Roman fort of Vindolanda near Hadrian’s Wall in England, archaeologists found a creepy, lifelike, miniature bronze hand. The hand may be associated with the worship of Jupiter Dolichenus, a mystery cult whose practices were shrouded in secrecy, which was very popular in the Roman army of the early 3rd century CE. The hand was likely left as an offering after a major invasion of Scotland in which a huge number of people may have been killed. Another mass grave was uncovered in late 2017 on Murder Island off the western coast of Australia. This grave contained the remains of five individuals, survivors of the wreck of a merchant ship called the Batavia, which sank nearby in 1629. Although these five individuals are believed to have died of dehydration shortly after the shipwreck, more than 100 survivors were brutally murdered by mutineers in the following months. At Pompeii, the site of Mt. Vesuvius’ disastrous eruption that killed the entire town in 79 CE, a man was found who was thought to have been crushed to death by a massive falling stone. 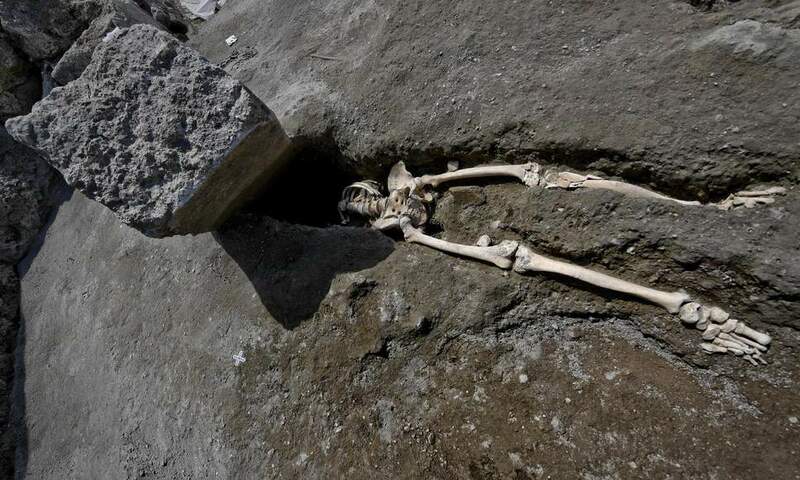 Although archaeologists later found that the man’s head and upper torso were intact, they initially hypothesized that the rock had landed on him as he attempted to flee, hindered by an infection in his leg. 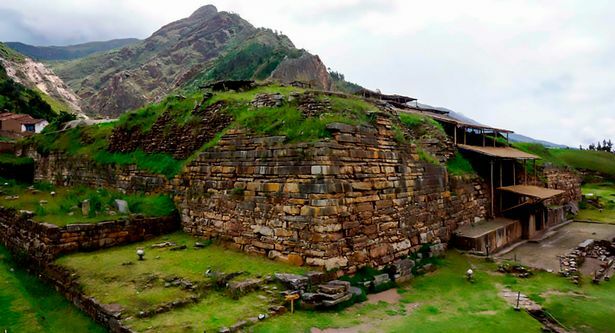 Archaeologists working along the Great Wall of China published new findings that describe a previously largely unknown early stratified society, the Shimao polity. Along with thousands of jade items, researchers discovered that human sacrifice was an important feature of this society. 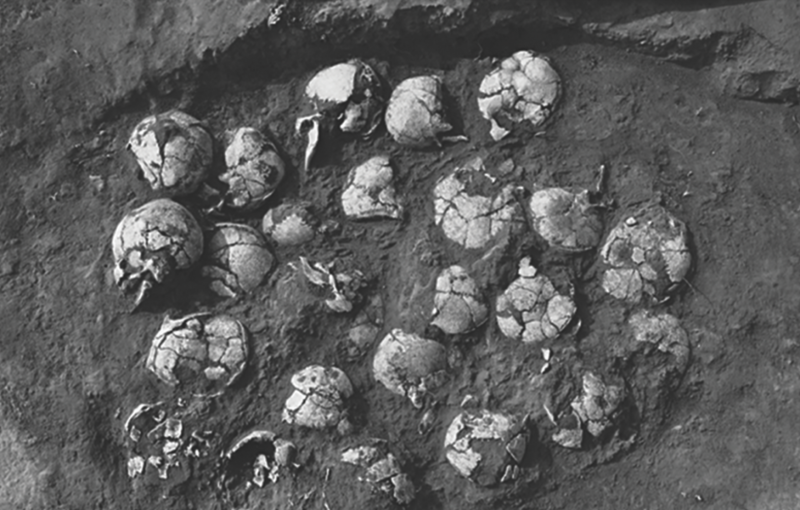 At least six pits filled with the decapitated heads of young women were excavated at the site. The Lothagam North Pillar Site in Kenya was found to be the oldest and largest cemetery site in eastern Africa, with more than 580 individuals interred over the course of 450 to 900 years. This awesome site isn’t really creepy… with the exception of a burial headdress made of more than 400 gerbil teeth. Dr. Charles E. Hilton is an Affiliated Researcher with the Texas Archeological Research Lab. 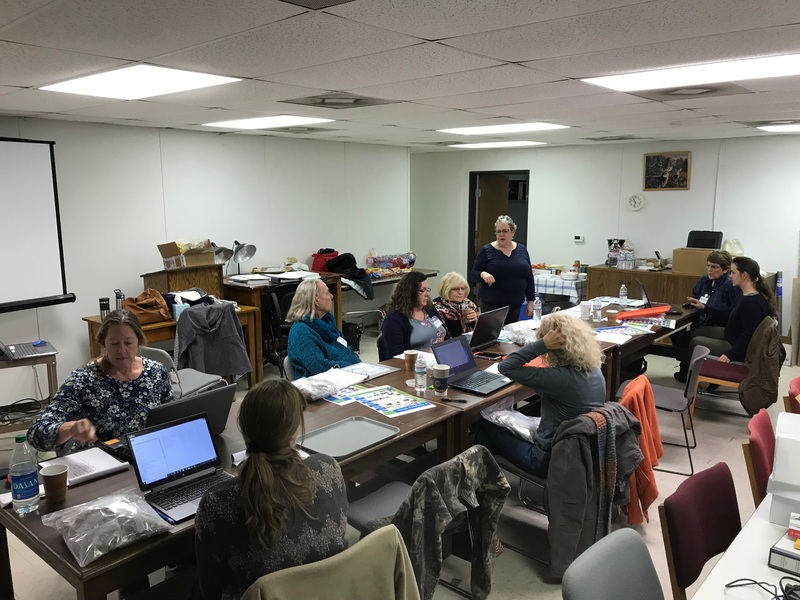 This article is part of the December 2017 TARL Newsletter. Dr. Charles E. Hilton will be presenting a poster detailing several paleopathological analyses of the Lower Pecos human skeletal remains of southwest Texas, a project on which he collaborated with the late Dr. Marsha D. Ogilvie, at the 2018 Annual Meeting of the American Association of Physical Anthropologists to be held in Austin, Texas. This presentation will describe and discuss severe arthropathies, specifically joint fusions in the lower limbs, in an elderly adult male from the Lower Pecos. The talk will also contextualize the implications for reduced mobility for an individual who lived within a hunting and gathering community. The AAPA meetings are scheduled for 10-14 April 2018 in Austin and are hosted by the University of Texas at Austin. Drs. Hilton and Ogilvie also recently submitted a manuscript highlighting their bioarchaeological analyses of a large number of Lower Pecos human skeletal remains as a chapter inclusion into Ann Stodder’s Bioarchaeology of the Southwest volume to be published by the University Press of Florida. Timothy K. Perttula is a visiting researcher at TARL. This article was part of the September 2017 TARL newsletter. 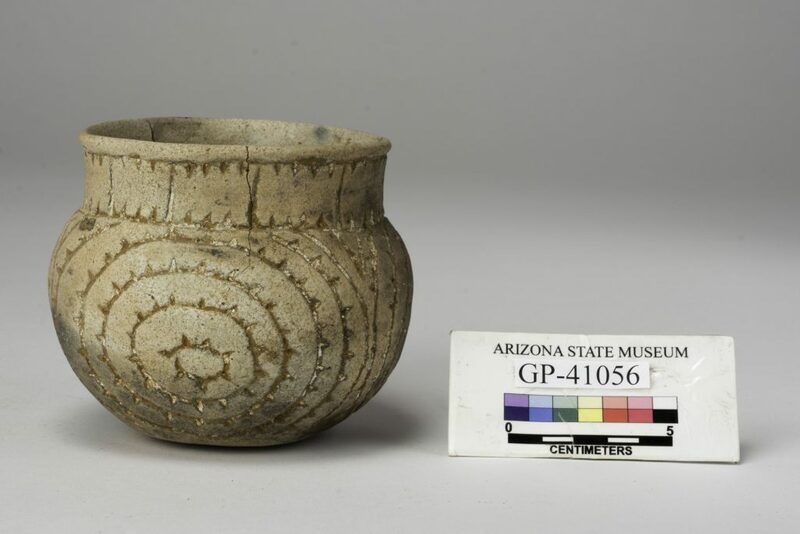 In the summer of 2017, 21 ancestral Caddo ceramic vessels held since 1933 by the Gila Pueblo Museum and then by the Arizona State Museum were returned to the Texas Archeological Research Laboratory at The University of Texas at Austin (TARL). These vessels had not been properly or fully studied and documented when the University of Texas exchanged these vessels, so the purpose in documenting these vessels now is primarily to determine the stylistic (i.e., decorative methods, motifs, and decorative elements) and technological (i.e., vessel form, temper, and vessel size) character of the vessels that are in the collection, and assessing their cultural relationships and stylistic associations, along with their likely age. In 1933, little was known about the cultural and temporal associations of ancestral Caddo ceramic vessels from East Texas, but that has changed considerably since that time (e.g., Perttula 2013). Harold Gladwin of the Gila Pueblo Museum (GPM) in Globe, Arizona, first proposed to The University of Texas (UT) an exchange of ceramic materials in November 1931 with Dr. J. E. Pearce of UT. 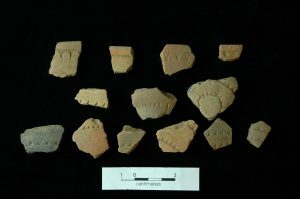 Pearce was not prepared to exchange any ceramic vessels or sherd collections then because the ceramic materials in his possession had not been studied because they had only recently been recovered from excavations at East Texas Caddo sites. However, by November 1933, Pearce felt an exchange of Southwestern vessels with ancestral Caddo vessels between the GPM and UT was worth doing, and 20 Caddo vessels from eight East Texas sites were selected by E. B. Sayles of the GPM. After Pearce obtained permission from UT President H. Y. Benedict and the Board of Regents, the vessels were shipped to the GPM. The eight ancestral Caddo sites that had vessels selected for the exchange included the Richard Patton Farm (41AN26, 2 vessels); Goode Hunt Farm (41CS23, 2 vessels); Mrs. H. L. Culpepper Farm (41HP1, 1 vessel); H. R. Taylor (41HS3, 7 vessels); T. M. Sanders Farm (41LR2, 2 vessels); Hooper Glover Farm (41MX4, 1 vessel); Russell Bros. Farm (41TT7, 1 vessel); and the J. M. Riley Farm (41UR2, 4 vessels). The vessels remained in Arizona museums until the summer of 2017. Figure 1. Maxey Noded Redware bottle from the T.M. Sanders site (41LR2). 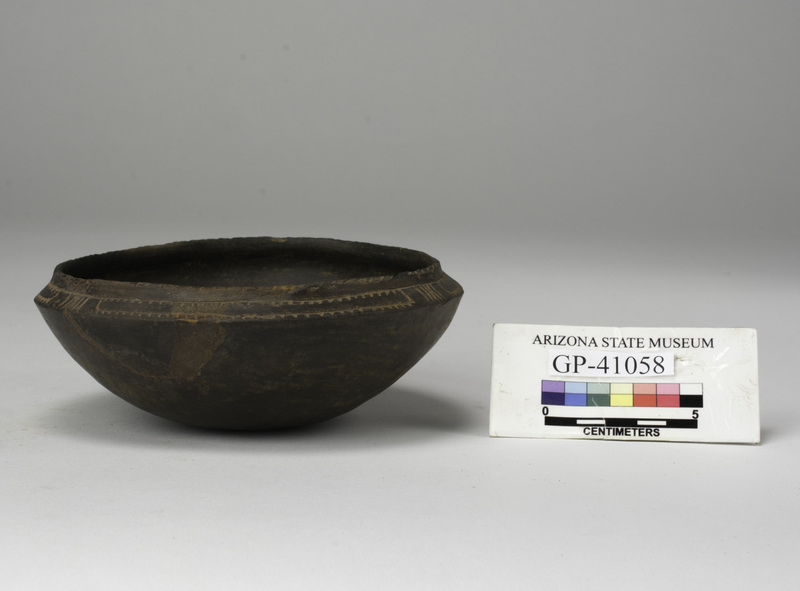 The exchanged vessels from the T. M. Sanders site are from burial features in a Middle Caddo period (ca. A.D. 1200-1400) Sanders phase mound on the Red River. They include a Maxey Noded Redware bottle (Figure 1) and an East Incised bowl. bottle, a Bailey Engraved olla, a red-slipped bowl, and Ripley Engraved compound bowls, while the utility wares are Bullard Brushed, Harleton Appliqued (Figure 3), and Karnack Brushed-Incised jars. Figure 2. Ripley Engraved, var. McKinney carinated bowl from the H.R. 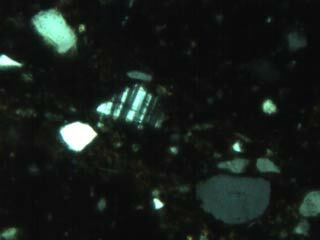 Taylor site (41HS3). Figure 3. Harleton Appliqued jar from the H.R. 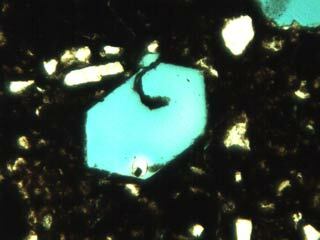 Taylor site (41HS3). Finally, the ceramic vessels from the Richard Patton and Goode Hunt sites are from late 17th to early 18th century Historic Caddo burial features in the upper Neches River and Big Cypress Creek drainage basins, respectively. These burial features were in cemeteries created and used by Hasinai and Nasoni Caddo peoples. 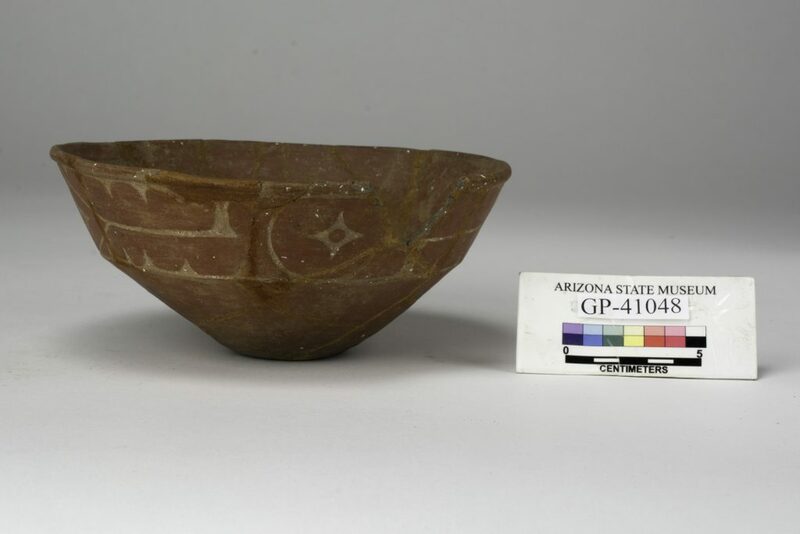 The historic Caddo ceramics from the Richard Patton site include two different varieties of Patton Engraved (Figure 4), while both vessels from the Goode Hunt site are Simms Engraved carinated bowls (Figure 5). Figure 4. Patton Engraved, var. 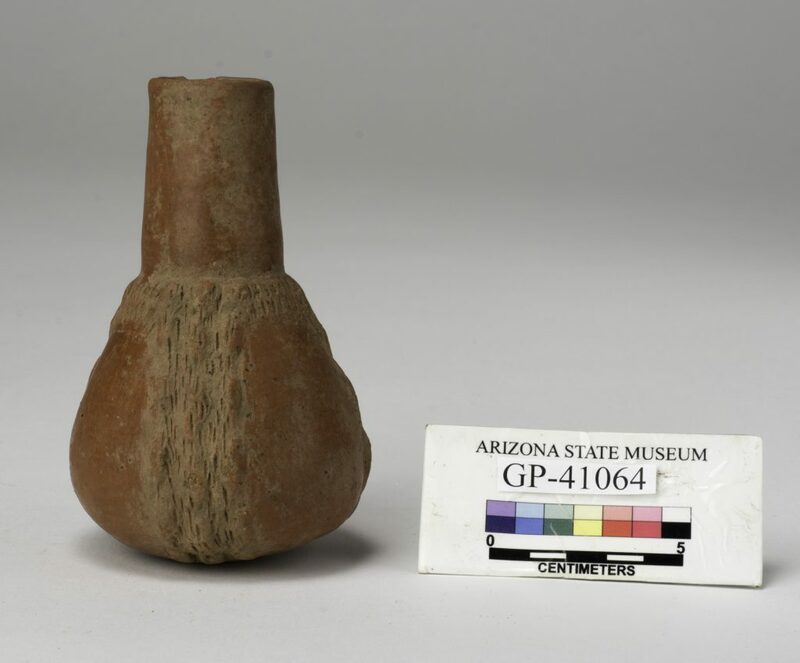 Freeman jar from the Richard Patton site (41AN26). Figure 5. Simms Engraved carinated bowl from the Goode Hunt site (41CS23). 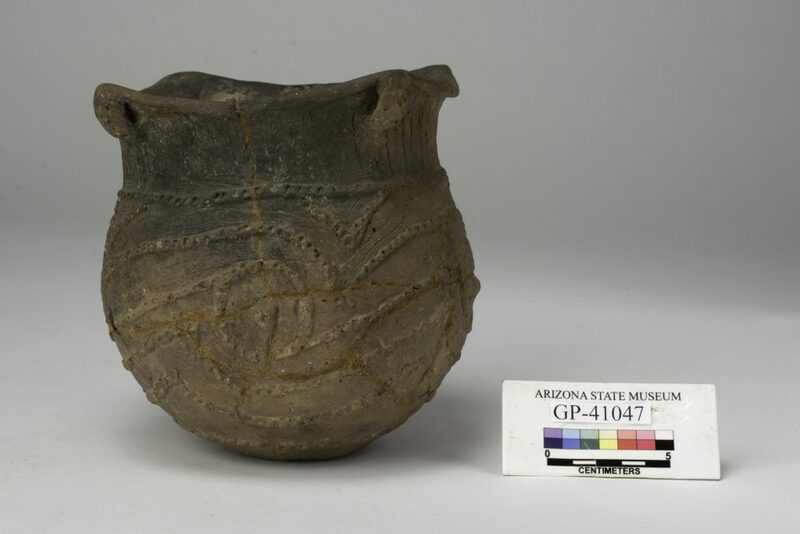 Thanks to Lauren Bussiere and Marybeth Tomka at TARL for facilitating access to the study of these vessels, and for providing photographs of the vessels taken by the Arizona State Museum. Kevin Stingley kindly assisted with the vessel documentation. All photos courtesy Arizona State Museum. 2013 Caddo Ceramics in East Texas. Bulletin of the Texas Archeological Society 84:181-212. Dr. David Robinson is a visiting researcher at TARL. This article is part of TARL’s September 2017 newsletter. The assistance of Marilyn Shoberg in operating the digital system is gratefully acknowledged. 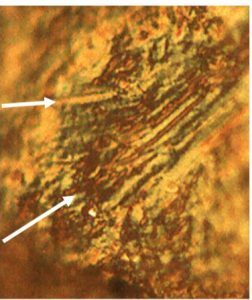 All thin section images in this article are from the George C. Davis Site (41CE19). 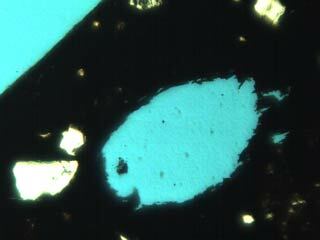 Feldspar particle in Paste Group E. Feldspar is a telltale sign of nonlocal wares at the George C. Davis site. 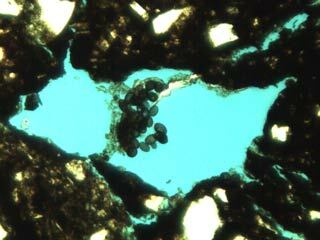 Paste Group C. This paste group is an unusual hematite-tempered group. 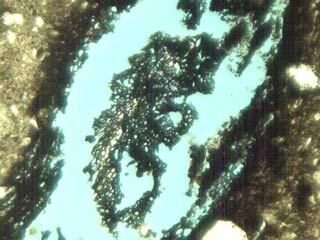 The small brown (medium silt-sized) particles may be hematite. 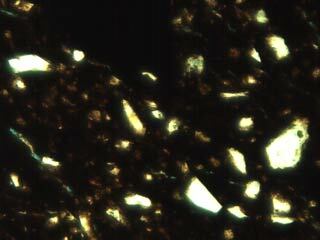 The actual hematite temper particles are coarse sand-sized (not visible in this view). Grog temper particle. Note color difference, high angularity, and much smaller interior particles in the grog particle. 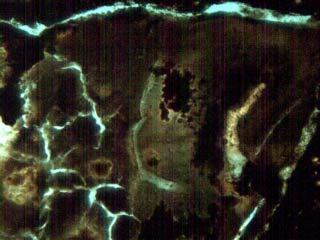 Large mass of bone tempering. Bone material almost fills the image. Bone particles may take almost any shape. well be a specific telltale sign in Caddo country, but research has not yet determined this. Bug eggs in blue void. Invertebrates lay eggs in ceramic voids. Sometimes they are preserved by carbonization in the ceramic firing. Species unknown. the material around the interior rim. Hex void. Some sections from George C. Davis have numerous voids of irregular hexagonal shapes. Many are more elongated than this one. Some interpretations speculate that these are the shapes left by seeds being added to the ceramic paste. The material burns out, leaving the hexagonal shape. Black masses inside the void may be remnant material. Special thanks to the Texas Historical Commission for their funding of this project, and to Tim Perttula (PI).